We also spent the rest of the Friday on the 23rd cutting down lots of different types of Hedychiums and storing them in the cellar. 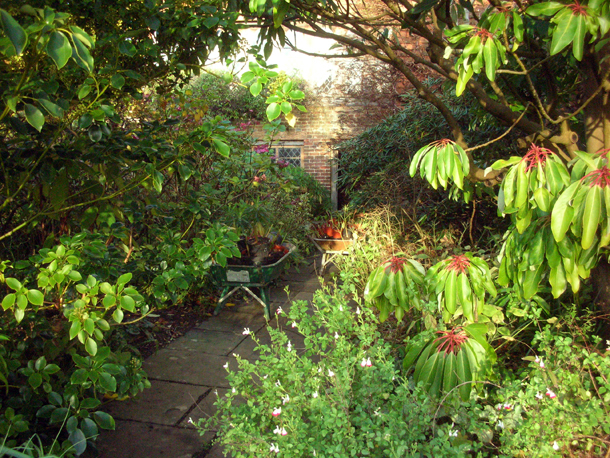 Camofluaged wheelbarrows (Hedychium queued up for the cellar). 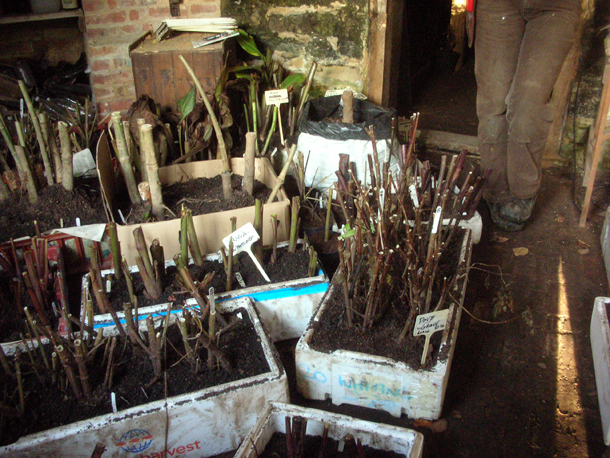 Boxes of tenders plants like dahlias stored snugly in the cellar.